Here in my home...we love fish and seafood! Every week we try to eat a minimum of 3 servings of fish or seafood so that we can have healthy diets. With that said, we are particular on the fish products that we consume. 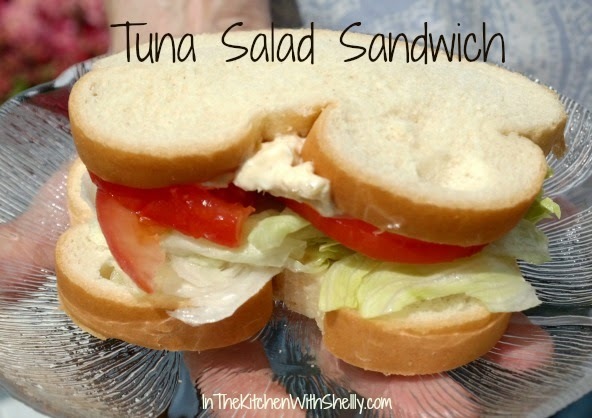 First...I am going to give you an easy recipe to make homemade tuna fish salad and then I am going to share some information with you on Safe Catch Albacore Tuna. Drain water from tuna. Shred tuna with a fork and place into a small mixing bowl. Dice and chop hard-boiled eggs and add to the mixture. Stir in the reduced-fat mayonnaise, yellow mustard, diced sweet onion, dill pickle juice, ground black pepper and salt. Stir until all ingredients are combined. Layer a few leafs of lettuce and some thinly sliced red tomato on your bread. Spoon tuna salad over the top in an even layer. Top with bread. Serve immediately. About Safe Catch Tuna: According to the USDA, the amount of red meat that Americans eat on a daily basis has been dropping over the last several decades while white meat consumption of poultry has risen. Health concerns about high levels of cholesterol and fat in red meat is cited as a reason that popularity has dropped off. Not all red proteins are bad for your health though. One of the leanest, with high protein and Omega 3¹s, red meats is tuna. A 2-ounce serving of canned tuna from Safe Catch has 60 calories, a mere 0.5 grams of fat, no saturated or trans fat, 20 mg of cholesterol, 14 grams of protein, 300 mg of potassium, 50% of the daily value of niacin, 30% of vitamin B6, 20% of vitamin B12 and 40% of selenium. Safe Catch has also created a special cooking process for its tuna that seals in five times more Omega 3¹s than other tuna brands. 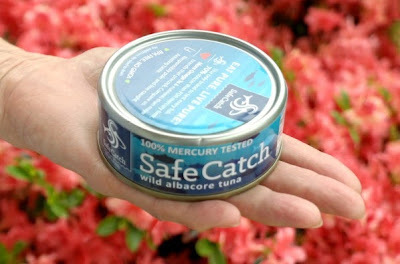 As an added bonus, Safe Catch tests every fish it uses for mercury so you never have to worry about eating tuna that isn¹t pure. Safe Catch Wild Albacore Tuna retails between $4.00 and $5.00 a can. We received a complimentary can of the Safe Catch Wild Albacore Tuna to review and used it in the recipe printed above. We thought it had a wonderful taste and texture. It wasn't overly fishy at all and we really loved it! You can learn more by visiting Safe Catch online. Disclosure: We received a free can of Safe Catch Wild Albacore for this review. No monetary compensation was received. Our words, thoughts and opinions are 100% our own. I love tuna salad and sometimes If I don't have the time i shall add dried onion pieces and if I have more time I might add chopped celery and chopped bell pepper.